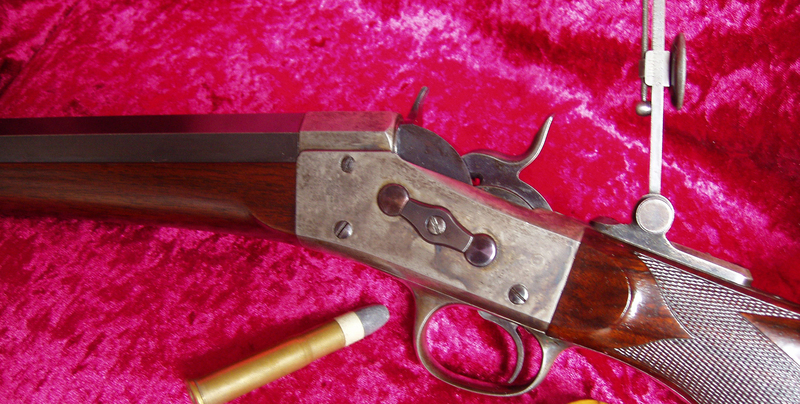 Why this site about Antique Single Shot rifles? A little bit of show-off and sharing my interests with you and to tell you more about my hobby: Collecting antique single shot rifles. I am more than happy to show you some of my old guns and I hope to get you as enthusiastic as I am. Are you already an single shot Rifle lover? It would be great if we could share ideas and guns. Some of my single shot rifles and parts are for sale on this website. So take a look at all thegunnery and you might find your favourite ancient rifle or rifle part. As antique single shot rifle collector and shooter, I own many different antique single shot guns. One of my favourite guns is the original Remington Rolling Block Creedmoor rifle in 44-90 Remington-Special. This rifle has really done its job on the Creedmoor range. After years of searching, I found and purchased this one in Louisville Kentucky USA. The previous owner had to sell this gun, due to troublesome circumstances. Another gun I really like to have and shoot, is my original restored Sharps 1878 Borchardt Long Range rifle in 45-2.4 Sharps straight. 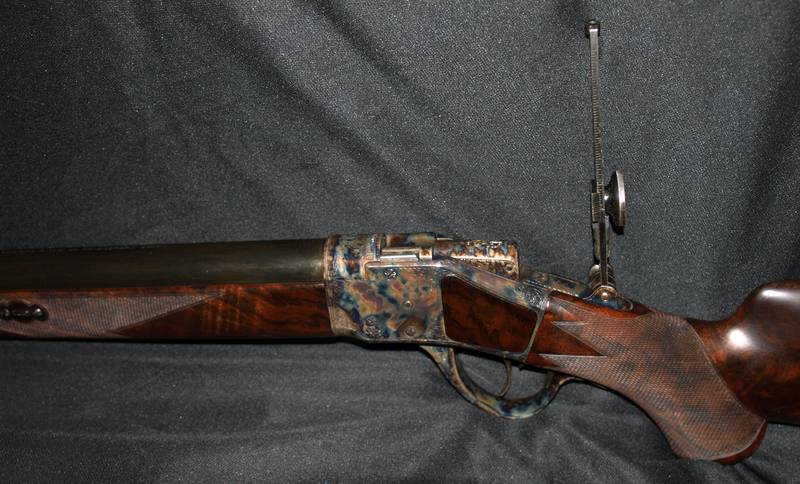 This gun has had a complete restoration and is in perfect condition. I am using this one now to shoot most of my 100 meters matches, but also 900 yards in Bisley UK. Sharps Borchardt 1878 Long range. 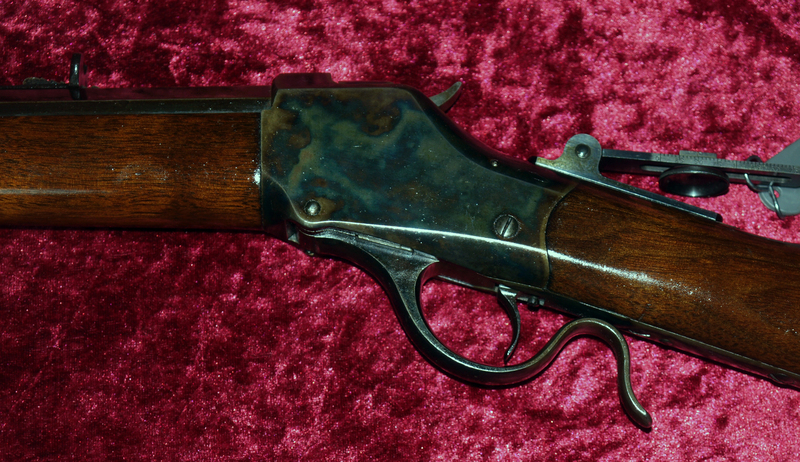 Winchester mod.1885 Highwall, 30 inch barrel, 40-70 sharps, early octagon top and single set trigger. This one comes from the Northern Territories Canada, where it was extensively used as a Hunting rifle.